Finding the right MCAT prep course is one of the most important steps on the way to becoming a Doctor. You’ll be spending countless hours studying so it’s crucial that you find the course that fits your unique learning style best. No one wants to waste hours, days and weeks studying for no reason. Let’s make sure you pass the MCAT exam the first time. That’s why we have detailed comparison tables below to help you pick the best MCAT prep course to go with. Here you can compare MCAT practice exams, flashcards, video lectures and more. This is all here to help you pass. If you have questions or comments feel free to leave them in the comment section below. What are the best MCAT tutoring services? We recommend Tutor The People MCAT! What are the best MCAT Prep Courses? How did you find them? 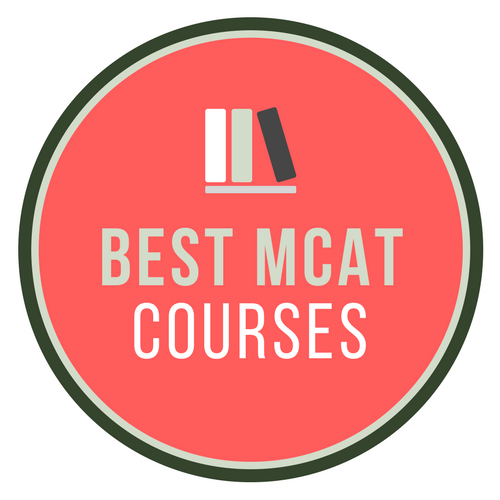 What are the best rated MCAT review courses of 2019? Here are the best MCAT prep courses to help you pass the MCAT exam on your first try! The Bottom Line: The Princeton Review MCAT prep course students the ability to choose a self-paced, live online, or in-person tutoring course, although no flashcards are included. Fortunately, one thing students don’t have to choose is quality or quantity, as they provide both in spades. New Content: Students are now equipped with quality practice materials for 2019 or 2020 with recently updated questions, passages, and explanations in their MCAT practice tests keeping with the AAMC’s trends in released material. 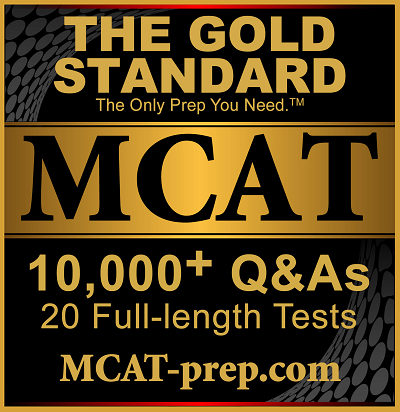 Practice Questions: The Gold Standard MCAT has more practice questions than any other MCAT course in our rankings. This ensures you probably won’t ever see repeats and you’ll always have plenty of fresh content to review. 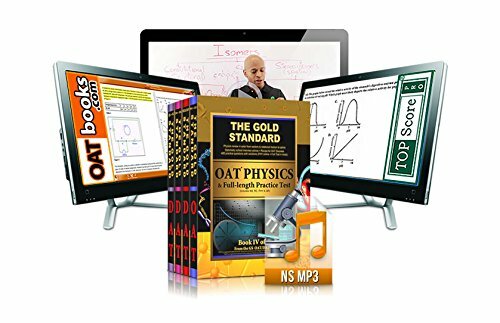 Great Value: Offering more for less is the Gold Standard’s motto and they back that up with more questions, practice tests and a better guarantee than many of the other MCAT course providers. Free Resources: Even if you decide to go with another course the Gold Standard MCAT has free resources on their site, including practice questions. Dated Platform: Compared to the other MCAT prep course options the Gold Standard just isn’t as flashy or new. This isn’t necessarily a bad thing if you prep better with the least amount of distractions but it does leave a bit to be desired. The Bottom Line: With their large quantity of practice questions and free resources, The Gold Standard offers a very appealing MCAT course at a low price. Unfortunately, the platform used for their service is disappointingly outdated. MCAT Channel: Kaplan’s MCAT Channel gives students access to live lectures from 1st-rate, experienced MCAT teachers 6 days a week in addition to on demand, pre-recorded content that is available 24/7. Best of all recorded episodes can searched by interests, study needs, or even your favorite professor! 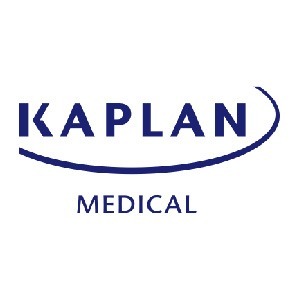 Wide Range of Course Options: Kaplan provides students different options to prepare for the MCAT above and beyond the competition. This makes it more convenient for you for studying anywhere. Choose from in-person classes, a live online course, an on-demand self-paced class, an intense 6-week summer live session in any of the 4 cities across the USA. Live and live online private tutoring options are also available. The Bottom Line: MCAT students who sign up for Kaplan’s prep course will enjoy many different study packages and convenient access to live lectures with real instructors. Best of all is their impressive higher score guarantee. Encompassing Package for Students: The study package comes replete with six preparatory materials that cover physics, chemistry (orgo and general), psychology & sociology, biology 1 and 2, and reasoning skills. Also, within each section, there are lectures – 24 questions for each lecture to reinforce the learned concepts – and plenty of descriptive information to hammer home the key concepts. Content: While Magoosh provides quality content, the amount of MCAT study materials they have is far less than The Princeton Review MCAT or even Kaplan. If you want a ton of multiple choice questions, books, videos and more then you might want to consider a different course. The Bottom Line: Although Magoosh doesn’t offer much in their MCAT study course when compared to their competitors, the quality of their visuals and exam simulations make up for this in the eyes of many students. Flexible Pricing: Students can save some money on registration costs by reducing the amount of access time or limiting their study material to specific sections. Unlimited Quizzes: With the option of generating custom quizzes, there’s no limit to the variety and quantity of practice tests students can use to study. Feedback and Analysis: Thanks to a section report generator and discussion forum, students can receive the proper feedback and analysis to improve their studying. Inconsistent Pricing: Despite offering a wide variability of prices, some courses offer less material for the same price. No Lectures: A complete absence of video or audio lectures means that students won’t have the ability to brush up on certain concepts before answering practice questions. The Bottom Line: AdaptPrep is a great choice for students on a budget since they can adjust the price of their MCAT courses based on access time and resources. The only downside is that they offer no lecture content whatsoever. 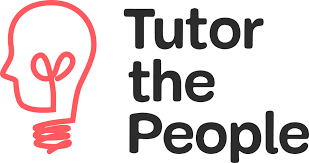 Tutor the People’s expert team will help you every step of the way to ensure the best chance of acceptance. All through private tutoring from real doctors and medical students that create specific plans to target your weak areas and enure you succeed. With all their MCAT tutoring packages you not only receive a top-percentile scoring MCAT tutor who creates an unique study plan tailored to your needs, but a medical student advisor who will help you with your application timeline and essays, and a personal academic strategist who is there to support you each step of the way. Monday Back Guarantee: All students get a FREE Introductory Hour, so you get to meet your tutor and develop a customized study plan before beginning your paid package hours. All unused hours are refundable, so you can try their MCAT tutoring risk-free! FREE AAMC Materials Included: Prepare for your exam using materials from a wide variety of companies with all their study packages plus the AAMC® materials issued directly from the test-makers. Individualized Scheduling: Use your study hours how it fits your schedule. Some students meet with a tutor every day, while others space it out to weekly or longer meetings. 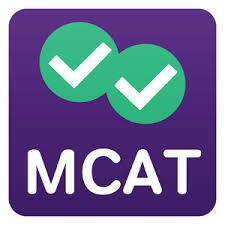 The Bottom Line: Students who prefer to study on their own schedule will appreciate Tutor The People’s MCAT prep course. They also offer several free resources and a money-back guarantee. Need help paying for your MCAT course? Consider getting a private student loan with an affordable rate. The Medical College Admission Test (MCAT) is one of the toughest standardized exams around. Especially when considering you may be balancing work, school and a host of other responsibilities. The MCAT testing period of 7.5 hours can be brutal without the best MCAT prep course. These courses not only include all the study materials you’ll need to pass, but also help you to create a study schedule. That way you’ll stay on course with a defined structure for the months of exam preparation. 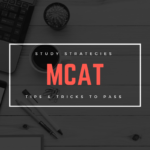 The best MCAT courses will also help you stay on task while providing clear explanations, interactive study tools, and practice exams that are similar to the real MCAT experience. We started by compiling a list of the top MCAT prep course providers online. There’s many reviews out there already and we took the top courses from all of them. Then we separated their courses into two categories: self-paced, live online. Some reviews include in-person but since we can’t afford to fly around the world to attend these courses we had to skip them for now. Some test prep companies offer on-demand, live-online and in-person classes, while others only have one single format. We evaluated each method individually as most students are only considering one option. 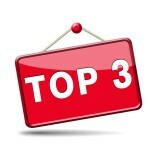 Generally each teaching method has different advantages, and we created specific criteria for each method to rank the best prep courses in each. A self-paced course provides the most versatile learning options. Flexibility is key here and it often gives you the ability to study around your schedule as opposed to making your schedule around your classes. Having this option gives you ultimate control of your MCAT exam prep. However, with this comes the responsibility of sitting down and sticking to a schedule on your own. You also won’t have open access to instructors, although many of the self-paced options do provide forums, email and phone support. The best self-paced courses have customizable study plans and interactive tools that adapt to you. This allows you to target your weaknesses and progress at a faster pace than a class experience may offer. Adaptive learning is new and not all the self-paced courses have it, but it does offer you a distinct advantage of focusing on your problem areas to pass faster. Really that’s the ultimate goal and that’s why we focused on the self-paced courses the most. Live online courses are best for those who appreciate the in person classroom experience. If you like being able to ask questions and get answers in real time then this is definitely the way you’ll want to go for your MCAT prep. The best part about live-online courses is you don’t actually have to drive to them. You can take the class almost anywhere as long as you hear what’s going on. Having the extra guidance and feedback of an instructor is a huge advantage over the self-paced course. When you’re taking one of the most challenging standardized exams this can be a game changer. The only disadvantage is the pre-scheduled sessions mean you won’t have control over your study schedule. Instead you’ll need to create your schedule around classes, this can be a deal breaker if you have other responsibilities. The best MCAT live online courses have engaging instructors to keep you awake and focused during the entire lecture. The ideal instructors provide feedback and answer questions both in and out of class. The MCAT courses with the most instructor interaction ensure you can get the help you need and all your questions answered quickly. It goes without saying that your instructor should be experienced and knowledgeable about the MCAT exam. 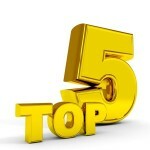 We liked that The Princeton Review offered six instructors who were all subject matter experts in specific topics. This ensures not only will your question get answered but it will be correct. In any case, we gave final preference to the course that had the best instructors and online tools to help you succeed. You’ll find that most review courses don’t really have many huge advantages over others, and each of them will have different pros and cons based on how you learn. There’s also the problem that many of the providers all assert they have the same technology or features. We reached out to each provider to get course access and to compare the features first hand. While we took these courses for a test drive we looked for straightforward explanations, engaging lectures and easy to use dashboards. Believe me when I say they were not all created the same! For example, some providers like Gold Standard MCAT prep, impressed us with their content in both quantity and quality. However their dashboard and mobile capabilities left a lot to be desired. Their videos even more so, but if you don’t need a flashy dashboard and power points then they would be a great option. No matter what way you choose to study having help from a MCAT prep course will ensure you plan and prepare the most effectively. Unfortunately, even the best MCAT prep course won’t do it all for you. There’s still going to be countless days spent studying, so it’s best to get started with your MCAT prep today. 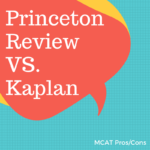 Many people narrow their choices down to either Kaplan’s or Princeton Review’s MCAT courses, as both companies have been around for more than 35 years. Their MCAT courses are refined and packed with features. The choice between these two depends on your specific needs and your learning style. 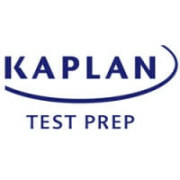 Kaplan offers 15 full-length practice tests and over 10,000 practice questions. 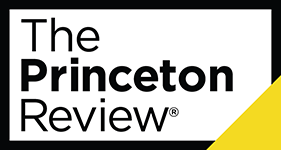 Princeton Review offers 11 MCAT books, and over 123 hours of instructor led classroom time (with their Ultimate Course package) which correlates closely with MCAT success. They also have a MCAT 510+ score guarantee course which can double your acceptance rate into U.S. Medical Schools. 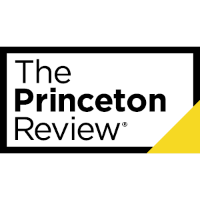 The Princeton Review goes above and beyond to make sure you pass, and that’s why we recommend going with them over any other provider. You can see my full comparison of Kaplan and The Princeton Review MCAT here. When narrowing your choices to Kaplan and Magoosh, it’s important to understand how much help you’ll need to pass the MCAT. While Kaplan offers a more comprehensive course compared to Magoosh MCAT, many students won’t utilize all of Kaplan’s course features due to time constraints. Magoosh offers just enough practice materials for students that already have a good understanding for a fraction of the cost. Magoosh could be a great option if you just need to brush up on material before taking the exam.